Through our IMPACT Toolkit™, we provide training and competency development in all of the Lean and reliability tools and techniques that we employ in our IMPACT Programme™. Our IMPACT Toolkit™ training workshops, delivered by our experienced Continuous improvement consultancy team, provide consistently high standards. Whether it’s a one-off 2-day course to get to the root of a recurrent failure (Root Cause Analysis – RCA), or a series of training workshops to address broader challenges, our consultants use their extensive knowledge and practical experience to provide you hands-on learning easily transferred to the workplace. Our Continuous improvement consultants provide training in lean and reliability tools and techniques, on-site, for groups of 5 people or more. Our on-site training methods have been developed to engage mixed groups of practitioners in interactive sessions held next to the shop floor. Our ‘learn and do’ method of skills transfer maintains interest and means that attention is always focused on the application of the competencies that are being learnt. Solutions come from teaching new skills and developing competency through the application of those skills. By bringing together people working in different functional areas, with different experiences and knowledge, ideas can be shared, an agreement is more easily reached and every team member can take ownership. 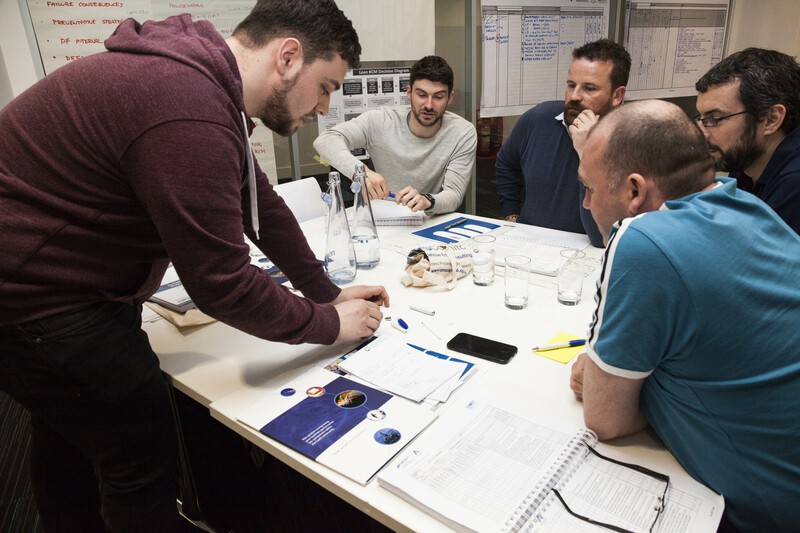 We deliver Lean training off-site at locations across the UK every two or three months. The skills and competency transfer in these workshops are consistent. In comparison to the on-site workshops, case studies will be used in place of on-site situations. The benefit of our off-site courses is that delegates have the opportunity to meet counterparts from different industries and exchange personal experience and ideas. Our off-site training workshops teach world-class methodologies in process reliability, change readiness and lean. “Very informative with lots of opportunity for discussion. Good practical exercises that we can implement on the shop floor”. EMS Cognito is an Operational excellence consultancy training provider recognised by the Scottish Qualifications Authority, SQA, we are also an SQA award centre. Find out more about our Lean RCM Qualification and its benefits.